Now the kitchen designer supports your color requests. Each customer defines a list of colors and now the kitchen designer will collect your specific colors and display them. You may also link any image from the web as a source color for the designer. Very Cool! 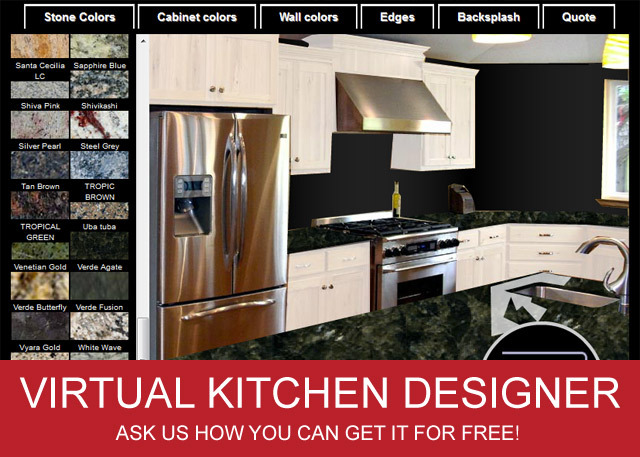 Contact us today and ask about our free virtual kitchen designer for your website. The virtual kitchen designer is a great tool for moving the customer through the buying process while associating them to your brand. It will save you time looking at slabs in the stone yard and you will help people to envision the final product. to the first 100 people.